In August 2016, game developer Hello World managed to create a new universe, literally. 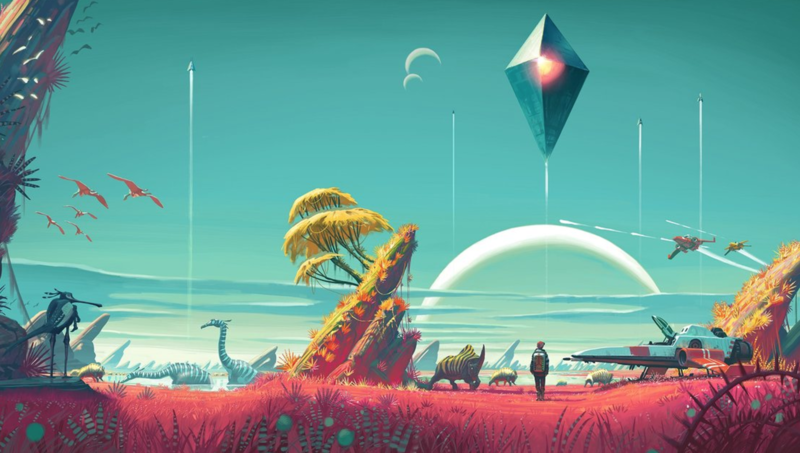 Although Dr. Hawkins and Dr. Kaku might disagree on the validity of creating a new universe without quantum physics, Hello World introduced us to this new universe called No Man’s Sky. Let’s review this remarkable game together. 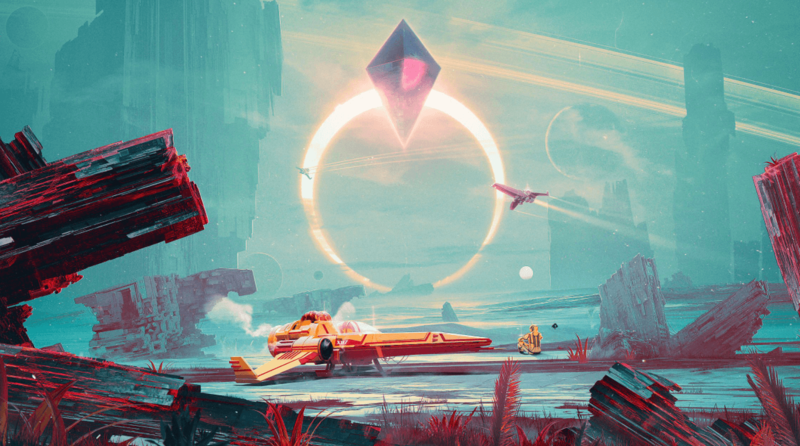 In No Man’s Sky the player’s playground is literally so large that even a lifetime of exploring wouldn’t be enough to cover even 2% of the game environment. The purpose in the game is to survive, explore, combat, and discover. All this is done in a dynamic and open universe where each individual planet (out of 18 quintillion, 1.8×1019 ) has a unique environment. In the beginning, the player has a survival bag and exosuit for space travel. The task is to gather resources from each planet in order to improve, fix, and build a better shuttle for further space travel. But be aware, each planet might have hostile lifeforms who are eager to annihilate you. Perhaps the most fascinating part of the game is the Atlas Database, which gives players coordinates for all the planets. Rest assured, you won’t even cover 0.2% of all the possible places during your lifetime if you played 8 hours a day for the rest of your life. Furthermore, players can engage in trading with other players should they accidentally run into one in this vast universe. What’s more fascinating is the existence of aliens, with whom players can also trade if they manage to learn their language! How can someone create such a vast and dynamic game environment? Believe it or not, the concept is nothing new. It’s called procedural generation. In such a computing solution, data is expanded by using algorithms, which then processes larger amounts of information and thus creates expandable gaming environment. Additionally, this computational feature enables every player to see the planets in an identical way. 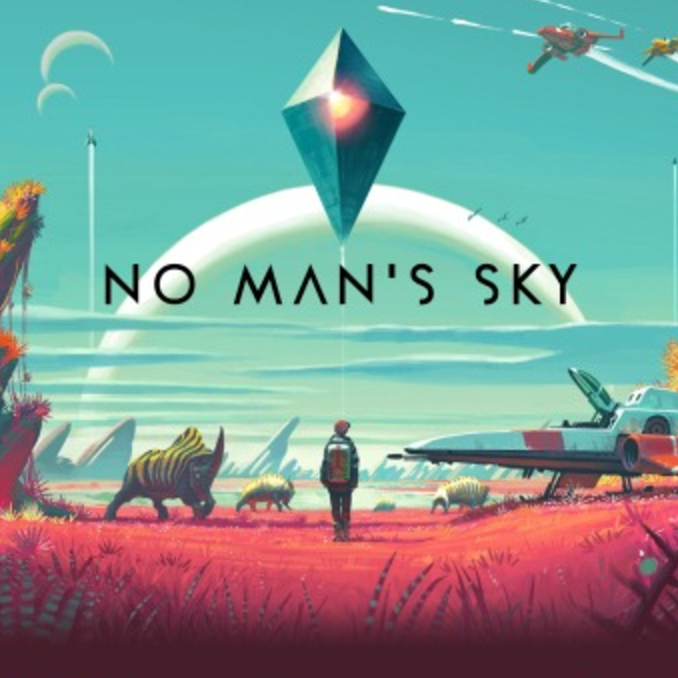 The initiative to create No Man’s Sky was formidable. Albeit the critics’ inconsistent views, this game has so much to offer. You can start with 18 quintillion planets!